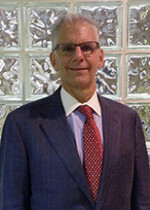 Garden City, N.Y.-based Janover LLC announced the addition of Ronald Hegt as a tax partner in the New York City office. Hegt previously worked at Hays & Company LLP, where he was a partner and later merged into Crowe Horwath LLP. This hire will bring the total Janover LLC head count to more than 120 total staff including 17 partners. “It is with great pleasure that we welcome our newest addition to the Janover family. Ron is a Certified Public Accountant with over 40 years of experience in accounting and taxation services. He has managed both business and entrepreneurial high-net-worth individual engagements providing tax planning, compliance and structuring,” says Janover MP Mark Goodman.